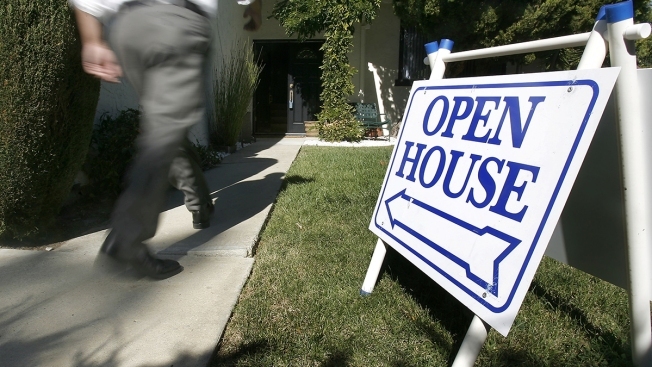 A buyer walks into an open house for sale in San Jose, Calif., on Oct. 7, 2007. Long-term U.S. mortgage rates edged slightly lower this week, taking a pause after five straight weeks of increases. The Federal Reserve signaled its confidence in the economy last week by raising a key interest rate for a third time this year, forecasting another rate hike before year's end.